The sun, the sand and the sea! Ahh what a wonderful way to start our vacation! 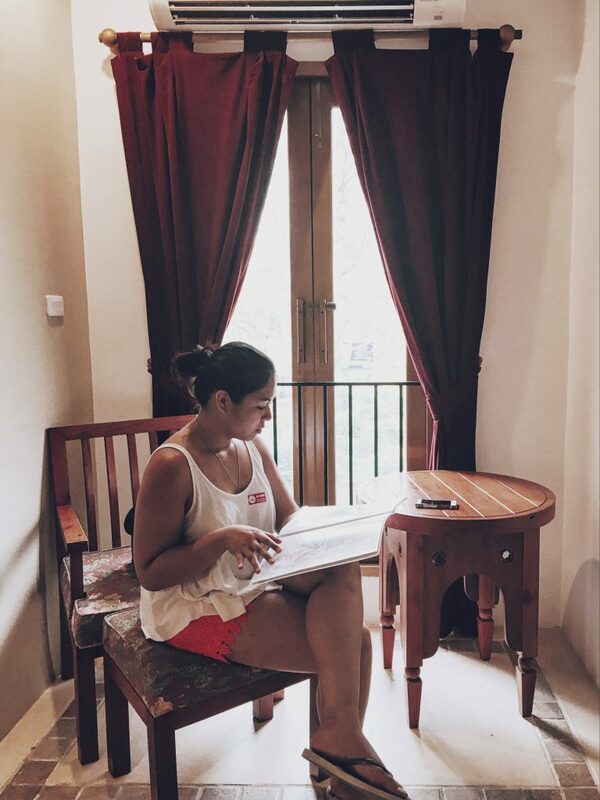 I couldn’t possibly ask for a better way to relax and unwind until we decided to check in at the Alisea Boutique Hotel. 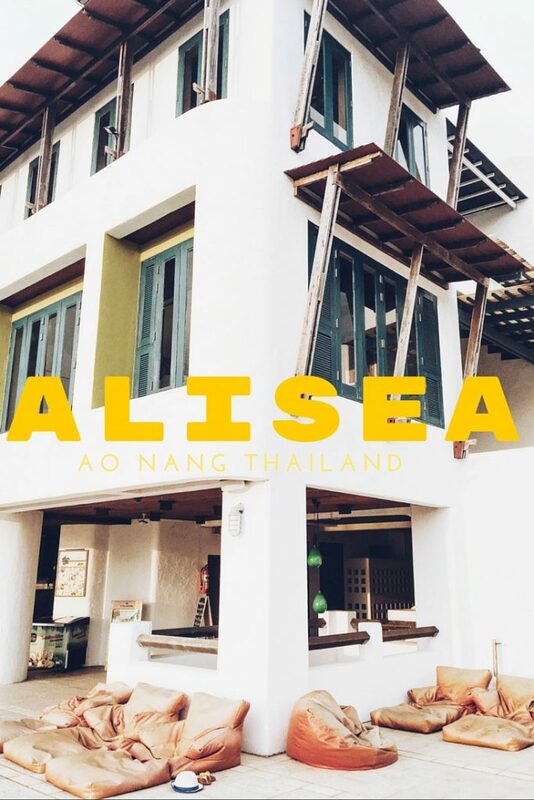 Alisea is a relatively new Thai urban resort situated near the Aonang Beach and just a mere 20-minute drive away from the Krabi Airport. Our hotel is strategically located between two fantastic beaches – Aonang and Nopparat Thara. Coincidentally, the place itself is a few minutes away from the city. This means, you get to have the best of both worlds: wonderful beaches and a bustling city life! The location is just one of the many desirable things about this resort. Near it are tons of restaurants that will cater to the demands of different palates. Also a stone’s throw away is a market and a convenience store where you can get supplies or just poke around to see the daily lives of the locals. More than this, the Alisea provides a complimentary shuttle to the Andaman Beach Club, a must visit place in the area. With ten minutes travel time, you will be treated to a peaceful and naturally beautiful environment, a great place to stay undisturbed and bask in the glorious view it has to offer. When we checked in at room number. This made me so excited as I realized that we are staying on the same floor where their breath-taking pool is located! A small word of warning though, there are no elevators in the hotel, so we took the stairs on our way up. No complaints there though, it means I get to burn a few calories even on vacation! The staffs were extremely helpful as they carried our luggage up to our rooms. I was extremely pleased when we got in our air-conditioned room. We have this huge bed that can fit 3 people comfortably. Unlike most hotels, our chamber is spacious and roomy. It even has a mini receiving area, new LED TVs with international channels and a mini bar. The best part of our area is the balcony to enjoy the view, chill out and take wonderful beach photos from. 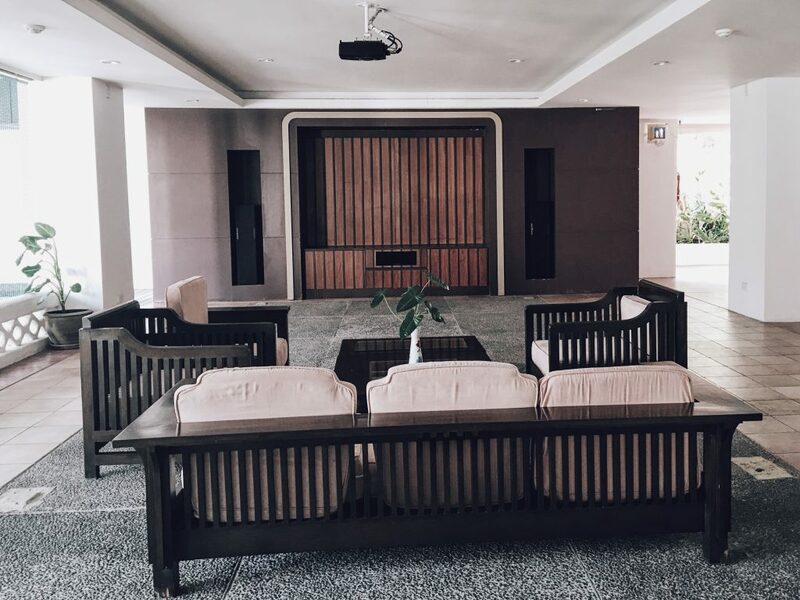 To cater to the many clienteles of the hotel, Alisea serves a Eurasian breakfast buffet and a Thai afternoon tea, which comprises of local sweets and snacks such as khanom lookchun candy balls, salapao buns and khanom tum cakes. For those who love Asian food, there is a very affordable Asian tapas bar that will cater to your appetite for that day. Finally, they have Umberto’s Italian Cuisine that was created by Aonang’s celebrated Italian chef. 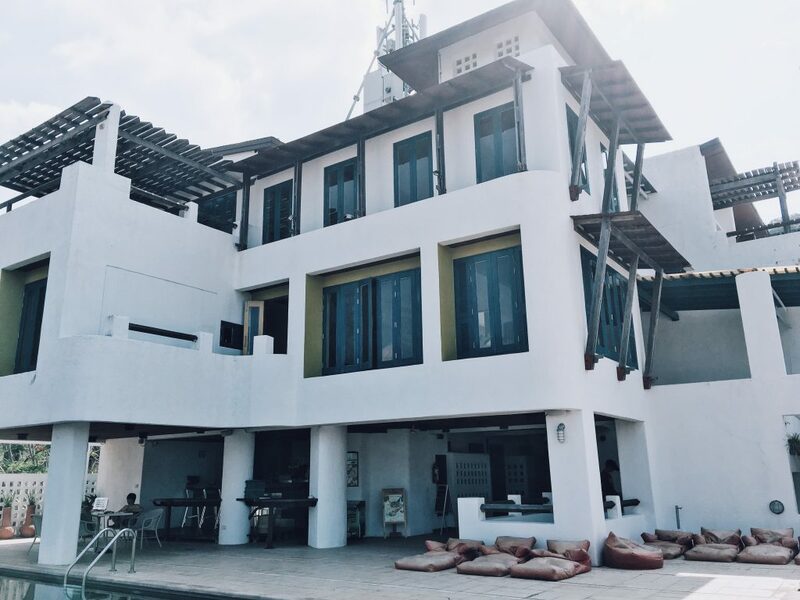 You can finally enjoy famous Italian cuisines and wines while savoring the al fresco atmosphere. 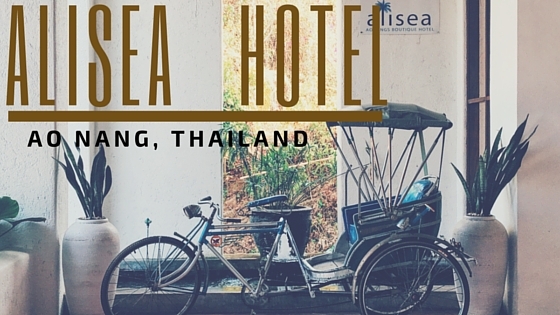 Aside from their private beach Andaman, there are a lot of perks in staying at Alisea. First, they have this magnificent infinity pool. Swimming through the warm waters while enjoying an excellent view is enough of a reason for you to choose this hotel. Aside from that, the view becomes more stunning, especially at sunset. If you are not into swimming, you can just lounge around the area. The vicinity of the pool is well supplied with extremely comfortable sun beds and bean bag chairs where you can spend a quiet afternoon reading books or listening to relaxing music. Second, if infinity pool is not your thing, then you might love the hotel’s outdoor tub. They have a wooden tub located in some of the room’s balcony where you can just sit and soak in the warm waters and wonderful view. These tubs are big enough and they can accommodate two persons at once. This gives you the perfect view with the perfect person. What more could you ask for? Third, if all the day’s walking and swimming tires you, fear not! Alisea has an onsite spa – the Dahla Spa where you can have a soothing massage rendered by local Thais who are learned in the art of traditional Thai massage. 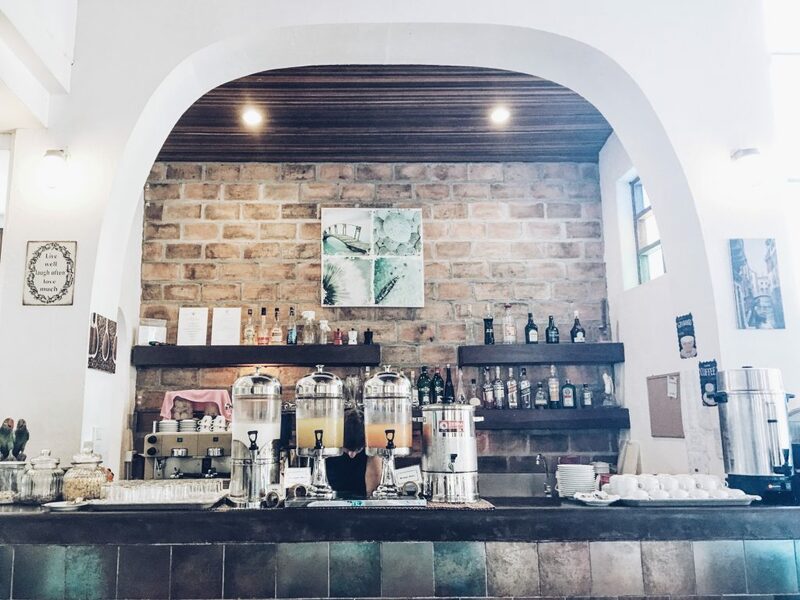 The spa has wooden floors, indoor plants, cute shutters and just generally homey assets and fixtures that will make you forget your weary muscles. So, indulge and treat yourself to this wonderful experience! Making the service even better, guests who check out early are allowed to leave their bags with them and when they return from the usual frolicking, they can shower in the spa with no additional charge! Great service! Fourth, if you are not satisfied with the new LED TVs installed in your rooms, you can go straight to their home cinema which was set up specially for the guests to enjoy. Just ask the staff of their available movies at hand and let them set up the film you want to watch. If asked nicely, you can also have food delivered from one of their restaurants to the cinema lounge so you get to watch a movie while munching on wonderful treats! Win-win situation! Fifth, for the competitive couples and generally everybody, you can kill your time away from the waters by playing a game or two of billiards. The hotel has a pool table for the guests to use. So while resting your sun burnt skin, stay cool indoors, play pool! I’ll go straight to the point; everyone! Alisea Boutique Hotel caters to every body from families, couples, big groups, small circle of friends and even solo travellers! Tourists and visitors from all walks of life can enjoy this place without breaking the bank. 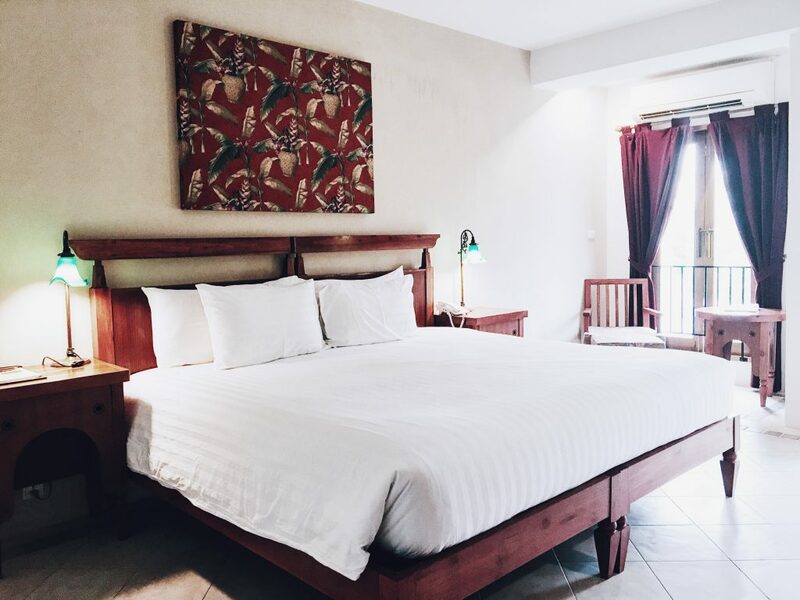 In fact, staying there is made affordable since they offer packages and promos that are both reasonable and attractive. They also offer a lot of activities to make your stay memorable. 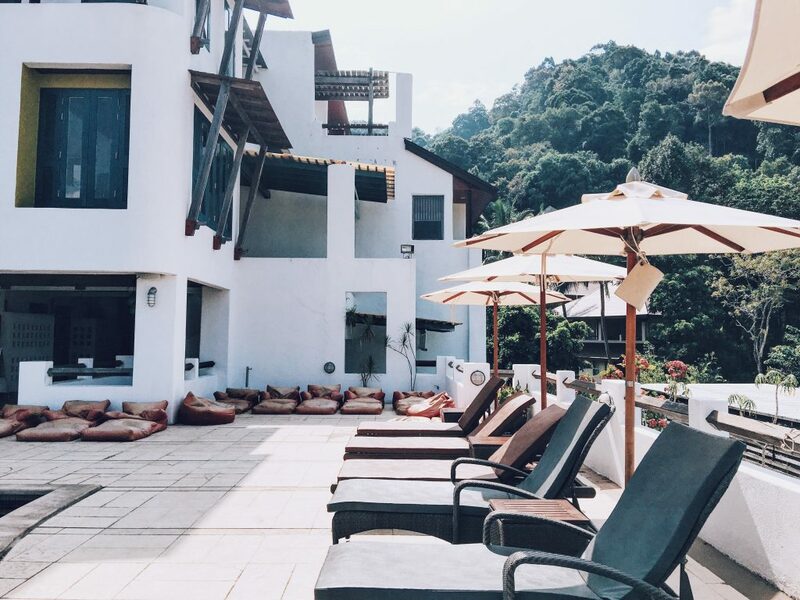 You can take up several available perks and classes they offer such as the Art of Thai cooking, real ATV rides, white water rafting, zip line adventures, lake tours, Four Islands tour, jungle safari and many more! Goodness! You’re making me change my mind again about Krabi. Hehe. Alisea seems like a wonderful place to stay since they have everything. The pool area definitely looks alluring! Glad to have made you change your mind. It is worth the visit go ahead and see for yourself. 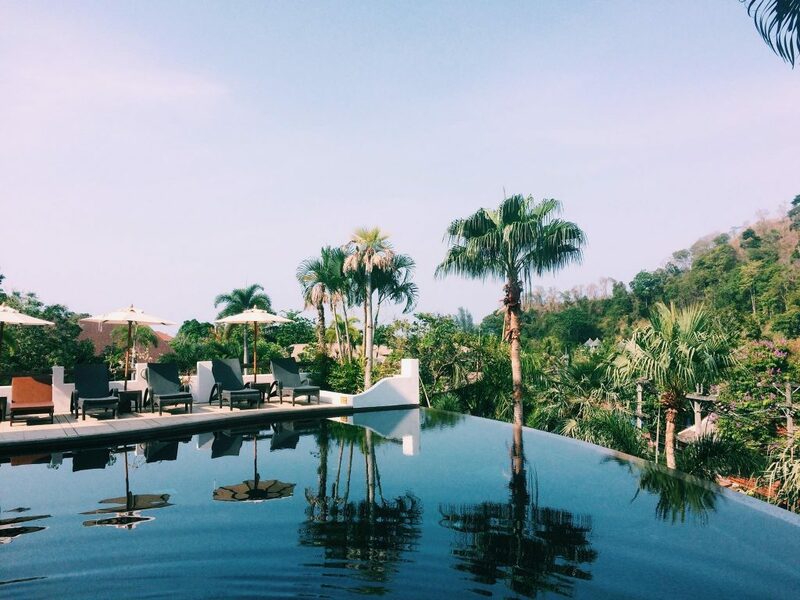 Looks like a great place to stay with full value for money, the Infinity pool with a fabulous view looks inviting. This place looks amazing!! I am loving everything from the pool to the room, down to the tablecloth in the restaurant!! Hahaha!! Oh, Bettina, you would have loved the place. Next time, let’s go together. Also loved the quaint cafes around the area. What a lovely lovely place! The only thing that got to me was that there were no elevators. I’ve had an experience once in HK where there were also no elevators and no porters at that! Our room was all the way at the top floor and the stairs were very steep. Seems amazing! I love that it’s close to the beaches AND the city, that’s unimaginable here in Europe (if beaches are decent)- Pool and the view from it are stunning and rooms are lovely. Looks like a great place to stay! I was in Ao Nang years ago – I’m sure it’s changed a lot. I spent most of my time in Railey Beach, though this is making me think about giving Ao Nang another chance. I don’t know what a khanom lookchun candy ball is, but I’d love to give it a try. That hotel is beautiful and the infinity pool is to die for! I’ve always wanted to go to Krabi, but haven’t quite got there yet. I will be sure to keep this place in mind when I finally get there! It looks cool and hip and I love that pool. Last time I was in beautiful Ao Nang was right before the big Tsunami and I left the day it happened so I haven’t gone back since. Oh, I am sorry to hear that. Must have been traumatic. But, a lot has changed now. What a lovey little hotel. It looks very posh and the pool area looks awesome. Although I think I would have to play a few games of 8-ball in the games room. We spent some time watching Godzilla in the movie area just before leaving the place. 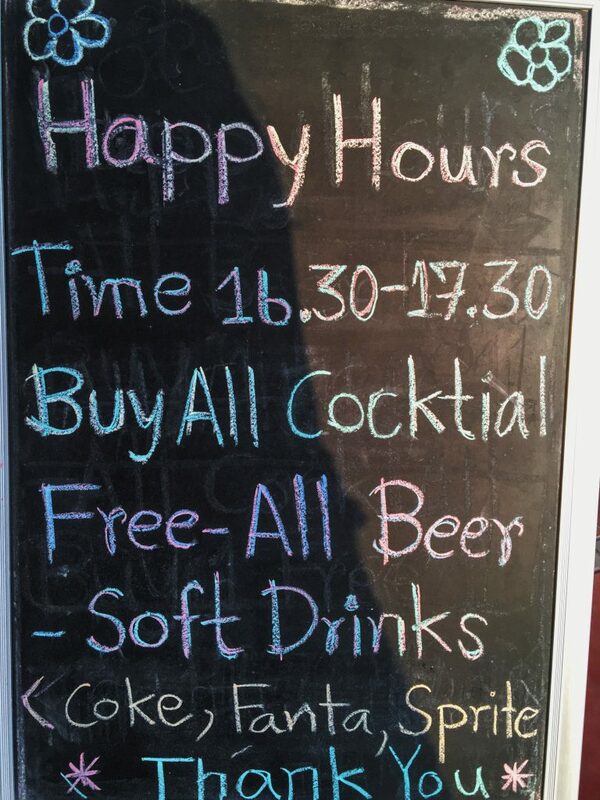 It looks like there is a lot more to Thailand than I saw on the first visit. Thanks for the pictures and suggestions. I’ll have to read more of your posts. Blog on! I was in Ao Nang years ago, but my hotel was nothing like this. Between the infinity pool and hot tub, I would never want to leave. What a beautiful place to stay. It’s small, but nice and I really love the infinity pool. Looks like a cute hotel in a great location. The pool looks really relaxing and it sounds like the hotel can arrange a great variety of activities. Will keep it in mind for my next trip to Thailand! It looks like a great place to stay! I like that it’s near the beach and the city so there’s more to do than just hang on the beach. I loved my time in Ao Nang! And this hotel seems to be in a perfect location to go back for another visit. I especially love that infinity pool! 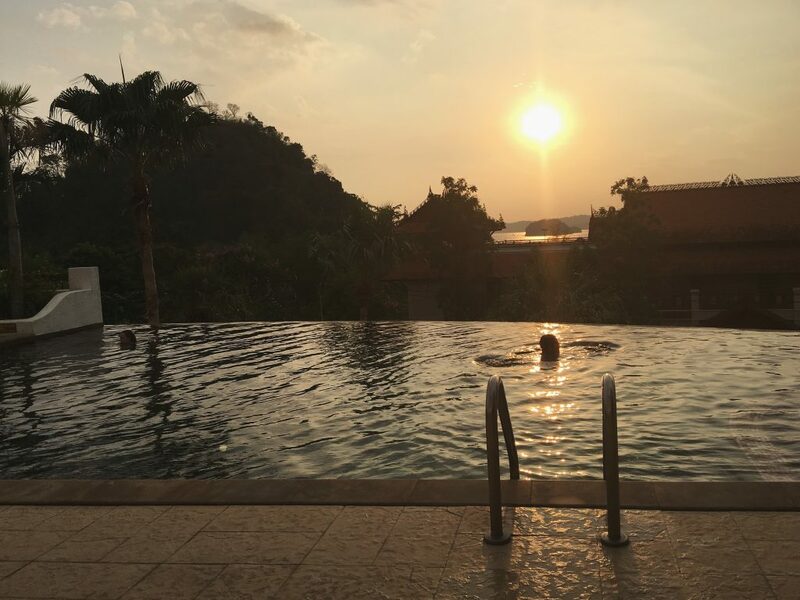 What I love best is the infinity pool and the sunset view . A nice little hotel , the rooms look very small tho , but who spends lot of time indoors , when you can enjoy this lovely outside area . 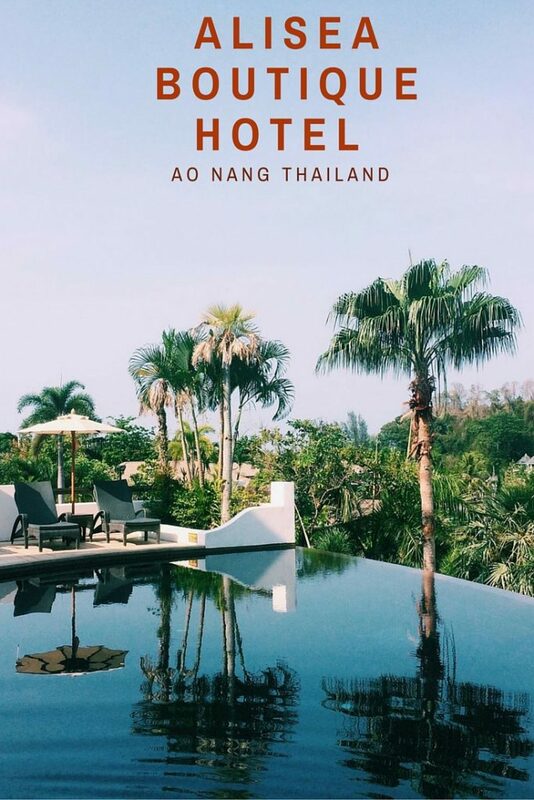 You’ve made me curious now , need to google and find our more about Ao Nang . The hotel looks so amazing. You know I can enjoy anywhere as long as the place has sea. This sounds amazing. My sister went there for her honeymoon. But you described the place much more beautifully than she ever did. I guess I need to plan to visit this awesome place. Love how the hotel kept an island vibe throughout the property. Gotta love that infinity pool! That view during sunset is to die for! Looks like you had an awesome time. We definitely had a great time. Loved it. My kid of spot right there. I was sold on the Pool Table, but the view is really beautiful. Especially at night. and between two beaches? Wow! Really love the vibe of this hotel, the bed looks incredible and the décor looks clean and I especially love all the seating areas they have and the movie area, it seems so relaxed and chilled. The bed is incredible, I am only small but I do appreciate my space in bed. I have always wanted to go to Thailand! I have a friend from there that I met here working. That hotel looks amazing. I love the pool area, with the sunbeds and bean bag chairs I think I would never leave that area. How lucky you are to travel. What a fabulous space! I’ve never been to Thailand but the list of places I’d like to see once there keeps getting longer and longer. Looks like a great spot. I love the pool. 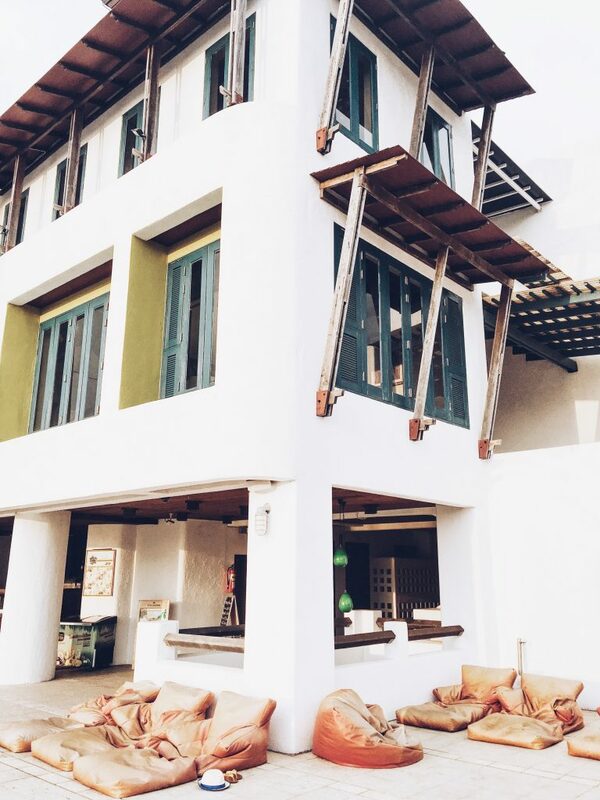 Looks like everything you need from a resort but still the coziness of the boutique hotels. Thanks for sharing. I have always wanted to go to Thailand. It just seems so completely opposite of my life. Great hotel where the guests comfort is of priority. Nice amenities for all types of situations. The pool looks amazing. Great views as well. Nice! Darn. I love that place. It looks really welcoming! I’m gonna keep this in mind for when I go visit. What an amazingly beautiful hotel! I love the seating next to the pool are. It looks so comfy! I love the design of the hotel! Clean and simple, yet warm. The pool looks beautiful, it seems to have the facilities of a large hotel but in a more intimate space. Gosh that pool looks so dreamy. What a lovely hotel. Thanks for sharing your experience!! The pics look great. I’d say everything looks great but what really got my attention was the photo of you sitting by the window. That is what I do most of the times when I am in a room, and of course, my instinct is to always be in a place where there are outdoor chairs and tables where I could put in some work. Looks like an amazing place. I want to visit now! Love that there are so many cool adventurous activities on offer from the resort. Although I will admit that you had me sold at “infinity pool”! It sounds amazing. I like the fact that it’s between the beach and the city, that means that there’s just so many things to do. I like the room as well, it’s very spacious and the design makes it look more comfy and cozy. Thanks for sharing your experience in this hotel! I would love to stay there! 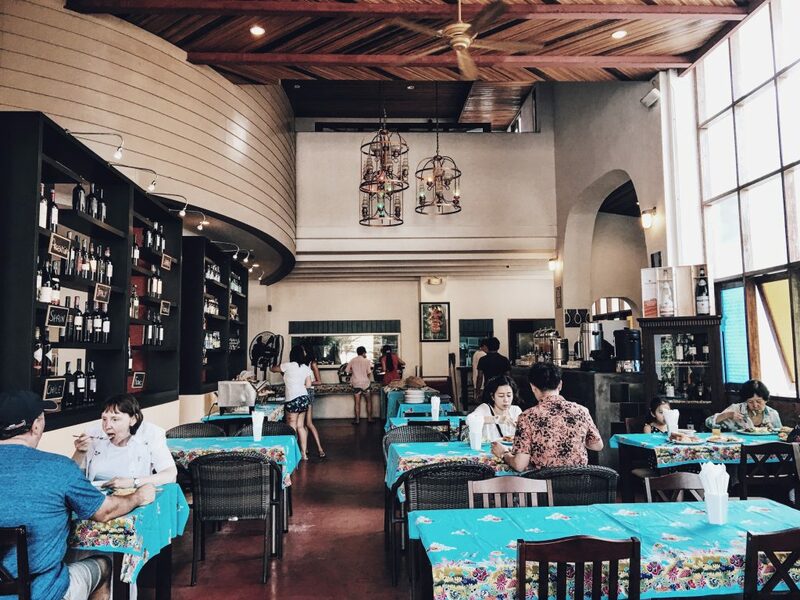 You had me at Asian Tapas Bar and Thai tea time! Looks beautifully managed for the discerning foodie. This hotel looks amazing! I would love to go for a swim in the infinity pool. So beautiful! Love the comfortable seats on the floor and your pictures! That pool is absolutely lovely. I would love to relax there after a long day of hiking. Looks like a fun hotel! I would definitely love to visit there someday. It does sound wonderful. My favorite thing is that it’s located between two beaches. It would be an adventure to visit such a lovely hotel! This hotel looks so cozy and accommodating! Beautiful! This looks and sounds amazing. The infinity pool would go over week. Elevator or no elevator, sigh us up! I miss Thailand so much! Can’t wait to see more of what it has to offer. The country is full of faces and places overflowing with character. And I always love the vibe! Locals and fellow travellers alike eager to make friends and learn more about one another’s cultures! 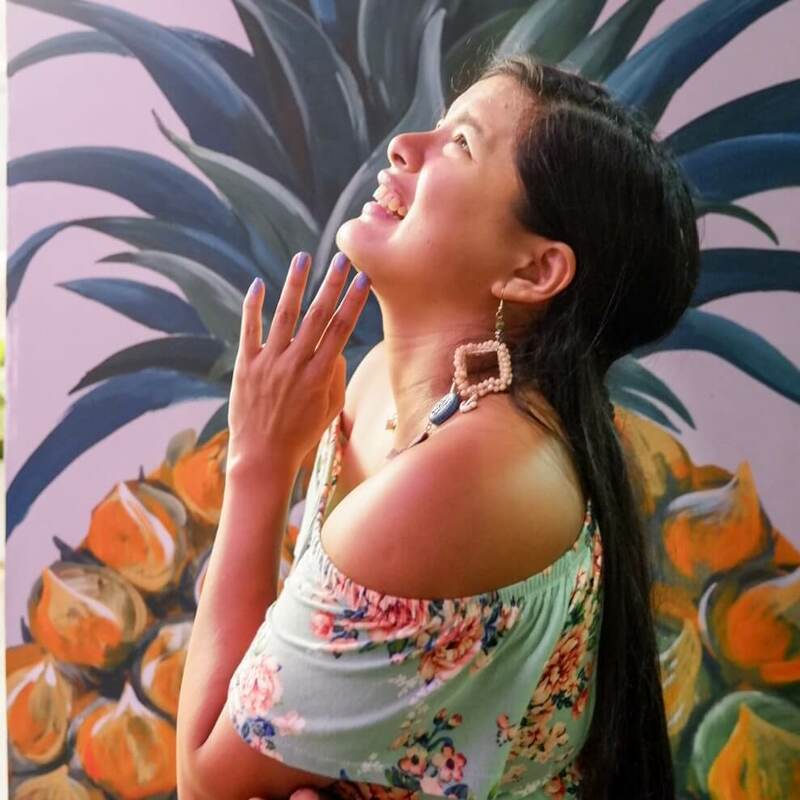 Love seeing your posts, Karla! What an incredible vacation spot! Your room was gorgeous, the scenery is amazing. You’re right, what more could you ask for?